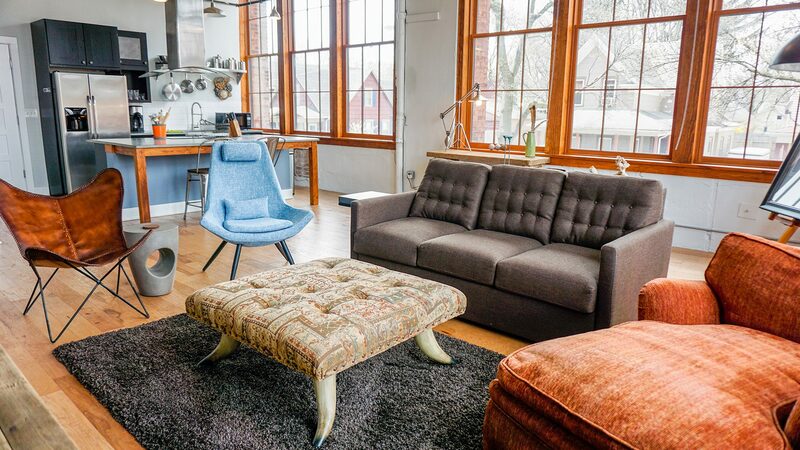 True City Loft – Decked Out in High Style! 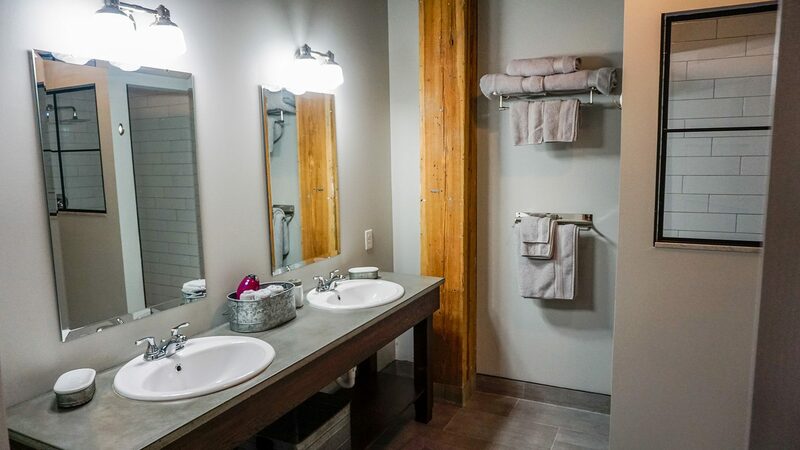 Bath Full, walk-in shower with glass enclosure, plush towels and double vanity with concrete countertop. Rooms 2 - 1 BD and large open area that consists of kitchen, dining, & living room. Parking 1, unassigned off street parking spot adjacent to the building is included. Pets Considered. Dogs under 35 lbs. 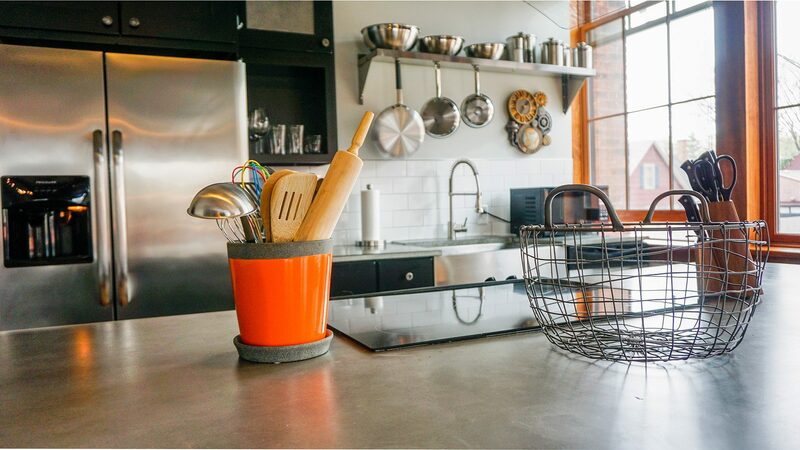 allowed with additional $250 security deposit and a $75 monthly fee. Breed restrictions apply. Other The building has a small gym and is convenient to major highway access. Windows in this unit are VERY large allowing for great light. 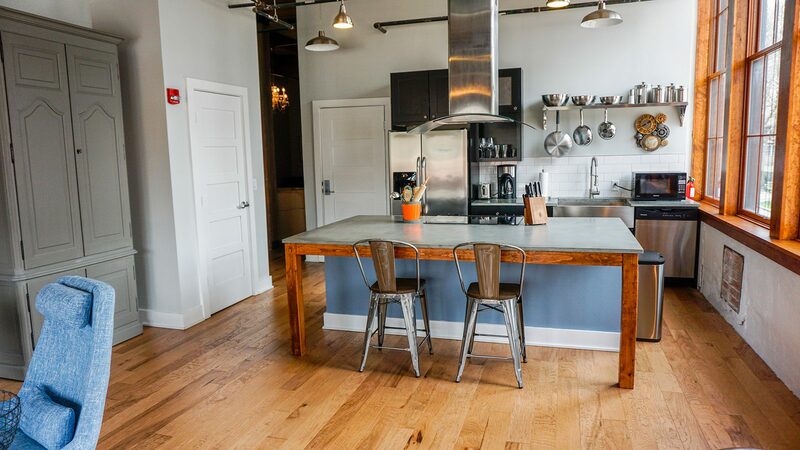 Restaurants, shopping, and a historic walking neighborhood just steps away. The M.B. Shantz Button Manufacturing Factory, circa 1903-1904, is 39 modern lofts and townhouses. 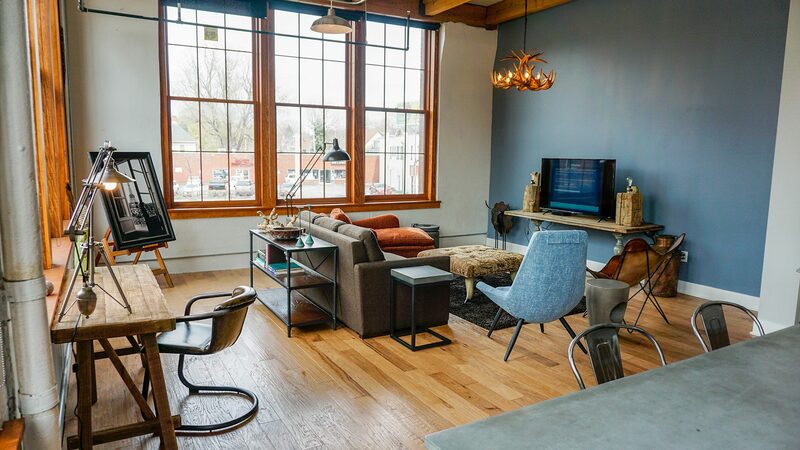 Our unit is located on the second floor and has an industrial ambiance with an open floor plan, two sides of expansive windows, exposed brick walls and beams, and 20′ high ceilings. 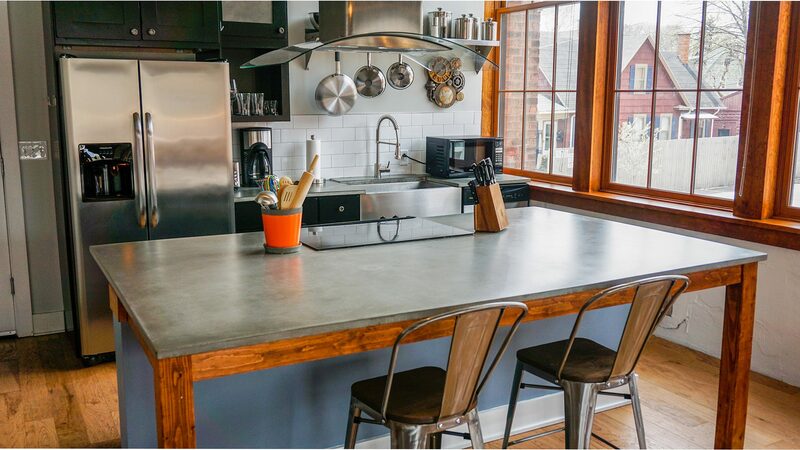 The European style fully-equipped kitchen has concrete counters and stainless appliances. 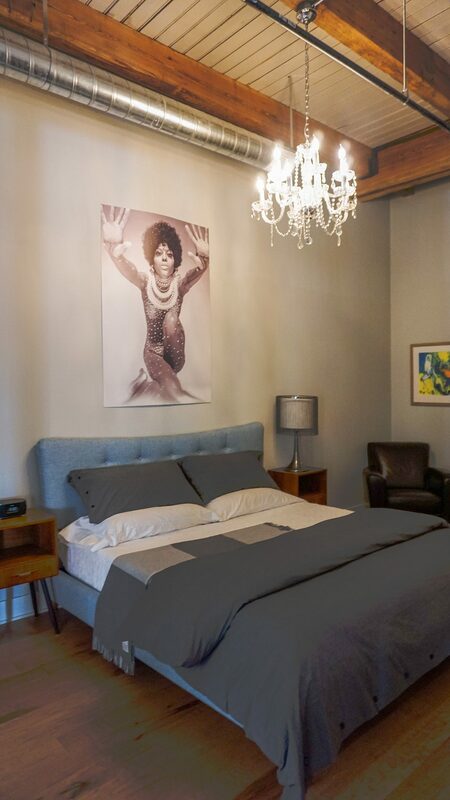 There is a large double vanity bathroom with a concrete countertop, an ensuite washer dryer, a cozy mid-century designed bedroom in the rear of the apartment and original artwork. 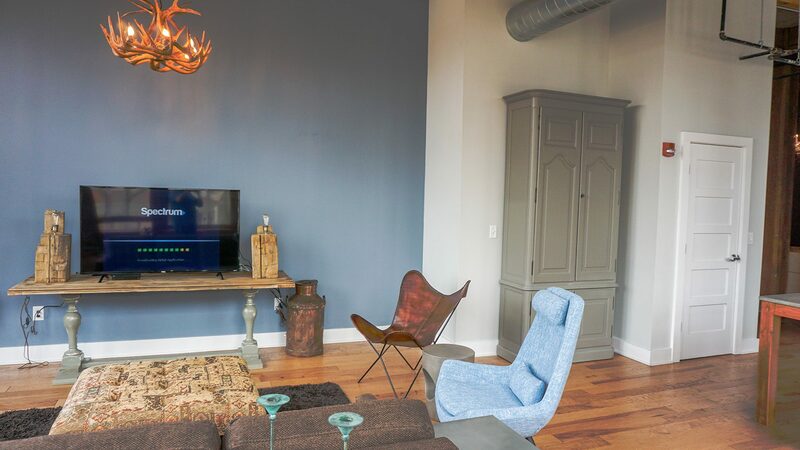 There is off-street parking, and the location couldn’t be better offering boutique shopping, incredible ethnic and American restaurants, and a historical, walkable neighborhood. 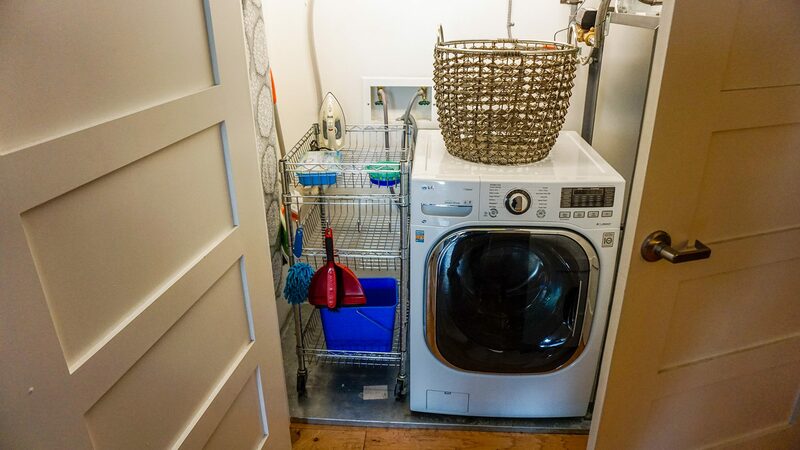 Although the unit is one-bedroom, there is a double-sized pullout couch that was explicitly made not to feel like one of those uncomfortable thin mattresses types. 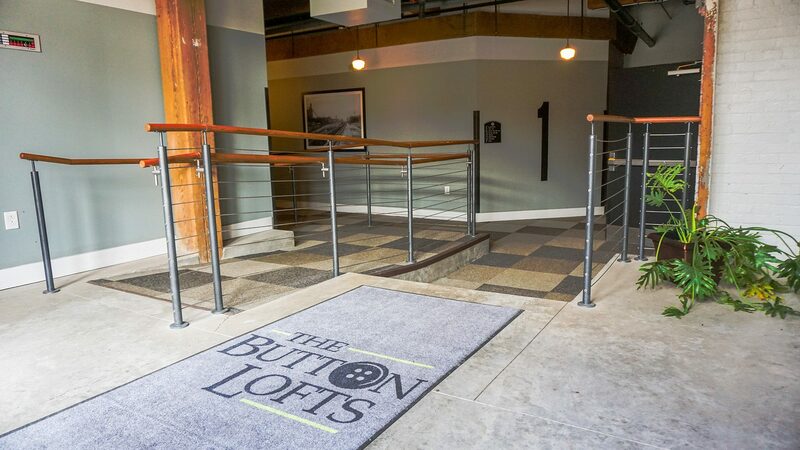 The Button Factory is loft living at its best whether you are a short-term visitor or a corporate executive looking for something other than the confines of a hotel room!